Double Vanities: Love Them or Leave Them? One of the most important elements of a bathroom is the vanity. When chosen and built with thought and care, it can be more than just a simple grooming and storage area. It can also serve as a piece of decor, one that can be highlighted to give your bathroom a distinct look that matches your personality. Deciding on the type and style of the vanity seems simple enough. However, there are several aspects to look into. One of these is choosing between a single and double vanity. This dilemma is often encountered by couples. As your trusted local bathroom remodeling company, DreamMaker Bath & Kitchen of Charlotte wants to help you make the right decision. Here we explain the pros and cons of double sink vanities. 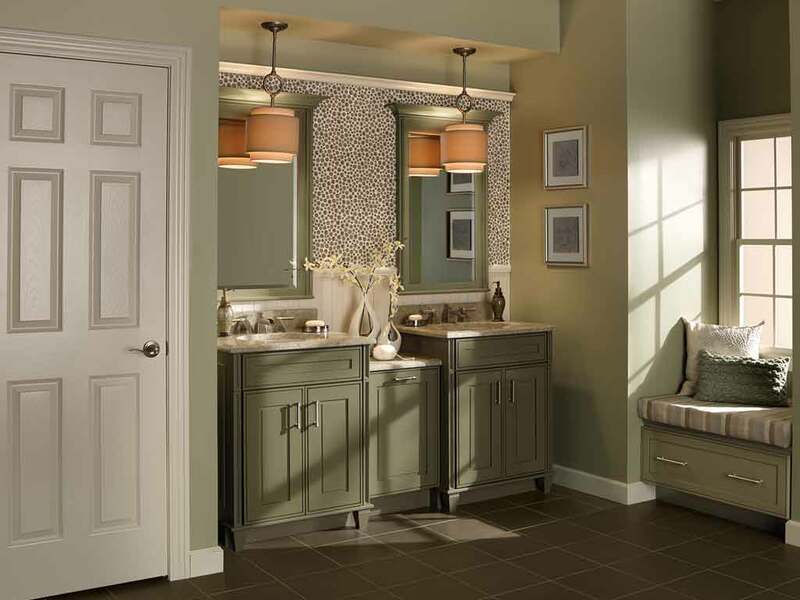 The primary advantage of double vanities is that they allow space for two individuals, so you won’t have to wait for your spouse to finish before you can use the vanity. Couples are not the only ones who can benefit from double vanities. They can also be very beneficial in children’s bathrooms. Double vanities naturally require more space. If you have a small bathroom, you may not be able to maximize the benefits of a double vanity if the room is already too crowded. A double vanity will also require two sets of plumbing. Is a Double Vanity for You? Double sink vanities are definitely beneficial if designed right. If you think you can benefit from the convenience that having two sinks will save you on a daily basis, and if your bathroom has sufficient space, then by all means go for it. However, if you don’t have enough floor space in the bathroom and you don’t have a pressing need for a double vanity, then you might need to give this idea a pass. Get Started With Your Bathroom Remodel Today! Whether you want to install a double vanity or just improve your bathroom in general, DreamMaker Bath & Kitchen of Charlotte has you covered. Call us today at (704) 243-8887 to get started on your custom bathroom remodel.